A full-service company providing custom engineered powder handling systems and solutions since 1995. IEDCO solves simple to unusual powder handling challenges with unique and demanding project requirements, with the most efficient solution possible. 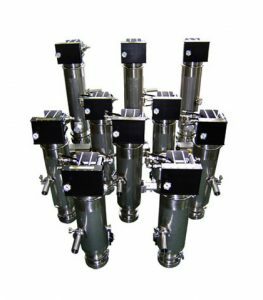 Most of our work is focused on the governmentally regulated industries (pharmaceutical, fine chemical, and food), but we serve any processing industry looking for a single source, engineered solution. We are dedicated to the engineering, design, manufacture, and installation of powder handling systems and technologies, including: Pneumatic Conveying, Bag Handling, Batch Systems, Bulk Bag Unloading, Drum Handling, IBC Containers, Filling & Packaging, Post Lifts, Bin Blenders, Containment Systems, Process Control Systems, Valves, and Tablet Handling Systems. Company wanted to transfer powdered material from multiple drums into a flexible IBC with high containment. 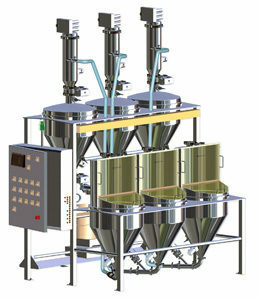 Company needed a hygienic and accurate method of refilling each feeder with different products from a remote location. Company wanted to reclaim polysilicon powder captured by their existing dust collection system. Receiving powdered product in bulk bags is becoming more and more common due to their ease of use and cost. 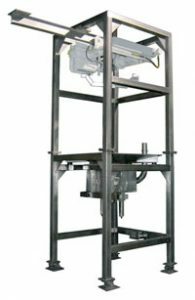 A vital step in most powder processing systems is the need to accurately weigh, dose, or batch one or more. IEDCO’s Compact Drum Inverter Historically, drum inverting units have been big, cumbersome and required a lot of plant real estate.